There is one argument that will never end among basketball fans: Lebron or MJ as the greatest of all time? For now, it is pretty undisputed that the latter’s Jordan line is at the top of the shoe game. However, Lebron’s signature shoe is making moves. It’s 11th iteration, the Lebron Soldier 11, is a high-quality, well-rounded shoe that deserves some recognition. 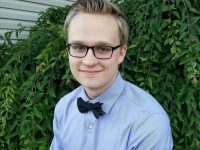 Want to step into the shoes of a king, or should we say The King? Unfortunately, the traction is let down a bit by a small spot right on the ball of your foot that could cause you to slip. We’ve even seen this in some Lebron highlight videos where the shoe causes his foot to slide while making a quick move around a screen. 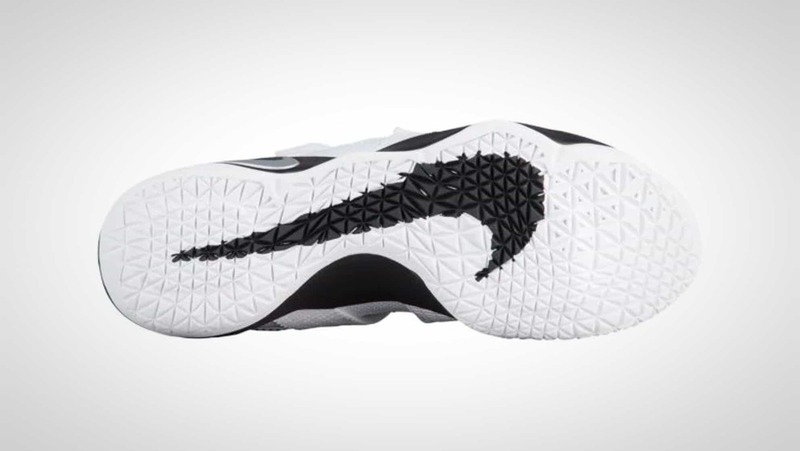 Otherwise, the traction is pretty decent on the shoe. But, the problem in the ball is just enough to make you second guess making those quick cuts and sharp turns. If your game relies on them, you might want to look elsewhere. The support in the Soldier 11 is much improved compared to its predecessor the Soldier 10. It features a wider platform for better stability on top of the Zoom units underneath. The heel and forefoot areas on this shoe both wrap up around your foot to ensure it stays put where it should. Believe it or not, this feature isn’t that common, but we really love the extra lockdown. Finally, even without laces (ie. using the strap to secure the shoe) the Soldier 11 fits comfortably and securely. When it comes to materials, there are two versions of the Soldier 11. 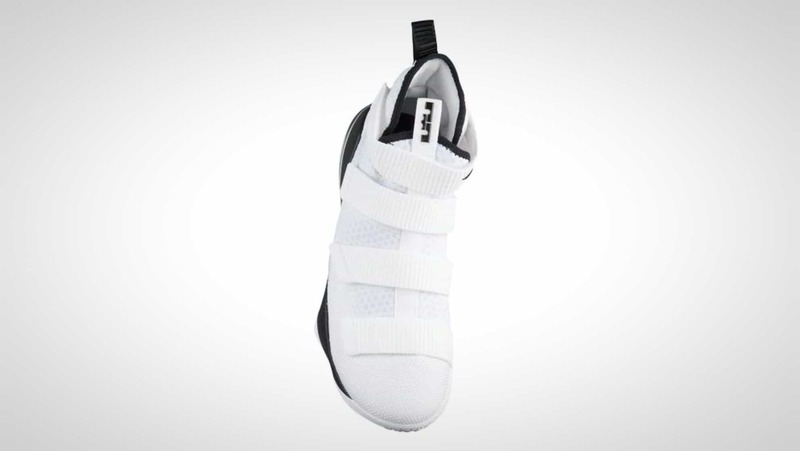 For a lower price point, you can opt for the one piece mesh shoe with a ballistic nylon mudguard. It feels a lot like wearing a knit upper but has a bit more strength. If you want to go for a more upscale feel, the premium version replaces the nylon with a nubuck mudguard. It does add more weight to the shoe but looks great. Either way, the shoe is very durable and should work great. It’s more of a cosmetic decision. 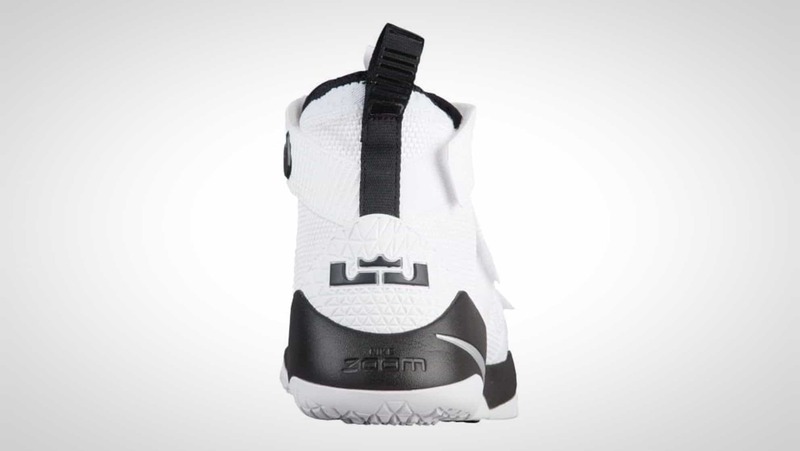 The Soldier 11 has two Zoom Air units, one in the forefront and one in the heel. The rest of the sole is Phylon. This means that it is very lightweight but is also pretty unforgiving. If you’re looking for ultra-cushion, you won’t find it here. If you want good court feel and enough bounce to keep you feeling light on your feet, then this is an ideal shoe. 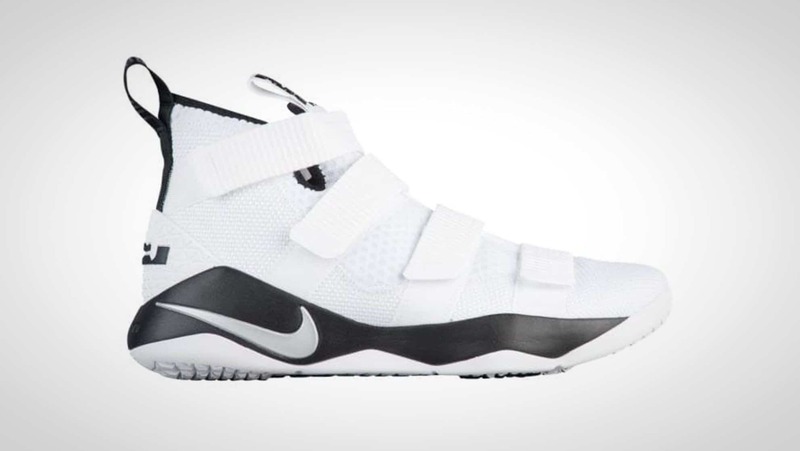 The Lebron Soldier 11 is a great, versatile shoe that any player can appreciate. Questionable traction on the ball of the foot might leave some feeling hesitant. However, the rest of the shoe is great and is definitely better than some others on the market.